Yaya is a 34-year-old widow. She lives in camp for internally displaced people in Mokolo, Cameroon, with her five children. Like many women in the camp, Yaya’s story of how she reached her final destination is an extremely sad one. Speaking to the staff from IEDA Relief – ShelterBox’s implementing partner – she said it’s still fresh in her mind, as if it happened yesterday. Before arriving in the camp, Yaya lived with her husband and children in a village close to the Nigerian border. She said their life was quite peaceful as her husband was the village chief. They had people working for them at their home and never had to struggle for anything. 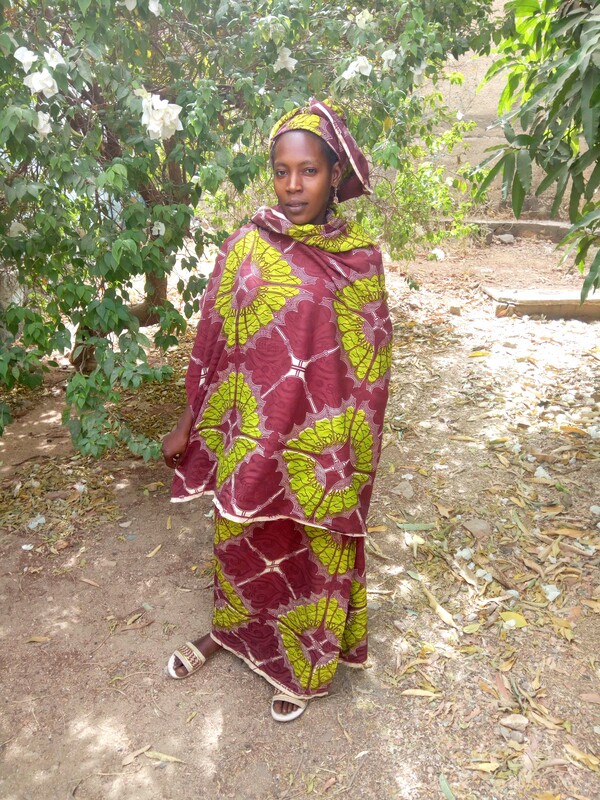 But she said that peaceful life soon changed when Boko Haram invaded their village. It was a Tuesday in the afternoon. We were at home when we suddenly heard gunshots. Everybody was terrified, we remained in that state for two days. It was Boko Haram. They started entering house after house. Whenever they found men and young boys they killed them, leaving the women. They caught my husband and slaughtered him like an animal in front of us. My cries and pleading did not stop them. They then promised to kidnap us, women and children, after killing all the men. So I had to run with my children. Yaya was pregnant with her youngest child at the time of the attacks. She ran on foot with her four young children and other women who had also fled. They spent three days in the bush hiding from the men who killed her husband before they began their long journey to the camp. ‘We abandoned everything we had and ran’, she said. Life became difficult for the family, the money she had soon ran out and she was no longer able to pay rent. Yaya and her family became homeless once more. When IEDA Relief and ShelterBox began the project of building semi-durable shelters for internally displaced people inside Cameroon, Yaya and her children were one of the families to receive a shelter. Since then, she says her life has become much better. After Yaya settled into her new home, the family were given a small ShelterBox containing essential aid items to help the family rebuild their lives. Included in the box was a kitchen set, mosquito net, blankets, water carriers, and a solar light. She said she was happy for what she had received. Yaya thanks IEDA Relief and ShelterBox for improving her living conditions with all the assistance her family has received.